Looking for the best laptop under 40000 Rs.? 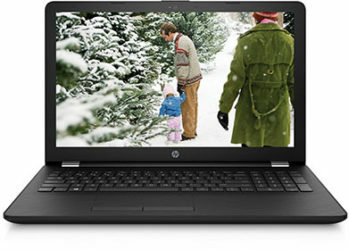 There are so many good laptops in this price range that choosing the best according to your needs is a difficult task. 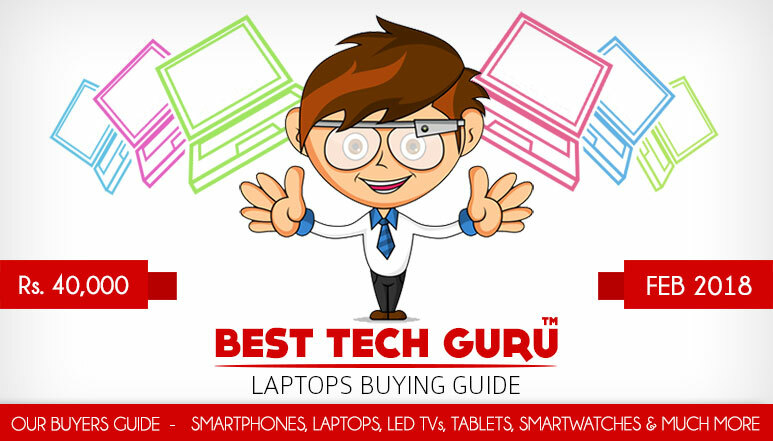 So, to help you in buying the best, we have written a list of 5 Best Laptops under 40000 Rs. in India. It will help you to understand and decide which are the best laptops under your budget, their specifications, and prices. While buying a laptop, what is most important is your use and the processor of the laptop. Next what matters is the RAM, Screen Size, OS, Graphics, HDD, etc. The laptops around 40000 Rs. come with some powerful processors which provide faster and smoother multi-tasking. The laptops of this price range are also equipped with bigger RAM, good graphics card, and hence can serve for heavy users and gamers also. You can also buy a laptop of this range for your work, study, entertainment, multi-tasking and of course for playing some heavy games. 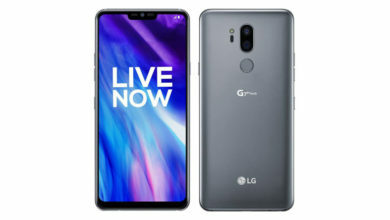 While preparing this list we have considered everything about the laptops, the specifications, features, hardware, software, real-world performance, screen-size, user experience, brand value, after-sales service and more. We see a laptop as a complete package which should at the end deliver great usage and satisfaction to the user and our rankings are based on the same principles. We consider hundreds of laptops, from biggest to the smallest brands and come with our honest rankings, so that you don’t need to go through the tedious process. extends up to 3.4 GHz with Intel Turbo Boost. Equipped with a 4 GB DDR4-SDRAM (expandable up to 8 GB), the laptop sports a large 15.6 inch (1920×1080 Pixels) FHD SVA Anti-Glare WLED-backlit display and comes with 1 TB HDD. The laptop comes preloaded with Windows 10 Home edition and for graphics, it doesn’t come with a dedicated Graphics card but relies upon the integrated Intel UHD Graphics 620. The laptop which has dimensions of 38 x 25.4 x 2.4 cm, weighs 2.84 Kg and runs on a 4-cell Lithium Ion Battery. The laptop is also fitted with an HP TrueVision HD Camera, with an integrated digital microphone, a DVD-Writer and for connectivity, it also comes with Bluetooth 4.0 and WiFi. Overall, the HP Notebook 15-BS146TU with its 8th Gen Core i5 processor, good 15.6 inch Full HD display and pre-installed Windows 10 Home, is a laptop worthy of your investment. Especially if you are not into heavy gaming (as it doesn’t have a dedicated Graphics card), it is the best laptop under 40000 Rs. 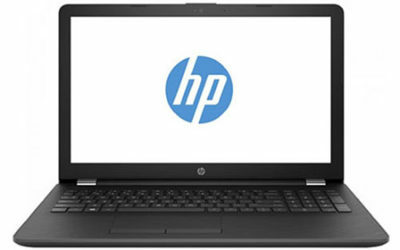 The HP 15q-BU014TU HD and HP 15-bw090AX are also some of the good options from HP. a clock speed of 2.5 GHz and cache memory of 3 MB. The processor is paired with a handy 8 GB of DDR4 RAM to ensure a flawless and smooth performance with multitasking. The laptop looks classy in black color. It has 15.6-inch HD (1366 x 768 pixels) LED Backlit display which will bring a good viewing experience. It has got 1 TB of HDD in which you can store all your files and a huge amount of data. It comes with a DVD writer with 8x R/W speed. The laptop runs on Linux/Ubuntu which is an open source operating system. However, if you wish to use Windows then you will have to install it manually. It also comes with a 2 GB AMD Radeon R5 M415 graphics card for handling the games and fulfilling other graphics needs. So, this can be a good choice for gamers as well. It also equips Integrated Widescreen HD Webcam for your video chatting. The laptop is backed by 4-cell Li-ion battery which offers battery backup of up to 4 hours. 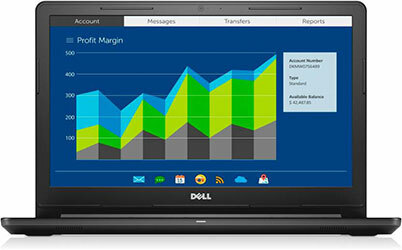 Overall, it is a worthy laptop with good overall performance and utility. 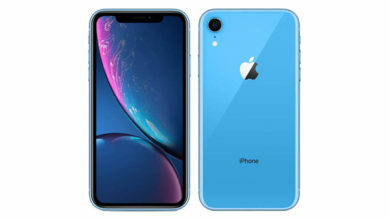 The combination of 7th Gen i5 processor, 8 GB RAM, and 2 GB graphics card works well on the performance as well as the entertainment front. This is again, one of the best laptops under 40000 Rs. in India. However, if you prefer pre-installed Windows 10 and can increase budget or adjust with the performance, then the Dell Inspiron 15-3567 7th Gen Core i5 and Dell Inspiron 15-3567 6th Gen. Core i3 can also be worthwhile options. If not, you can also go for a Linux variant called as the Dell Inspiron 15 3567 Linux 16.04.
a 15.6 inch (1366 x 768 pixels) HD display and a dedicated 2 GB NVIDIA Graphics, the combination of which can provide for some good on-screen picture quality. The laptop comes preloaded with DOS, which means you can install an operating system of your choice, after purchase. The laptop also packs within itself an HD 720p webcam with single integrated mic and has a DVD-RW optical disc driver. The Lenovo Ideapad 320E-80XL0376IN has dimensions of 37. 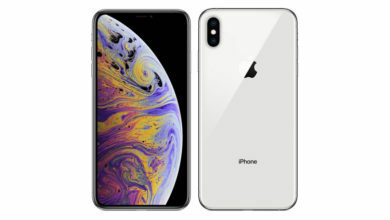 8 x 26 x 22.9 mm, weight around 2.2 Kg and runs on a 2-cell Lithium Ion battery capable of providing up to 5 hrs of battery back up as claimed by the company. And for connectivity, the laptop relies on Bluetooth 4.0 and WiFi. 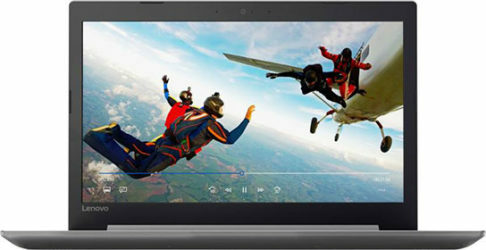 The Lenovo Ideapad 320E-80XL0376IN also carries within itself applications such as Lenovo App Explorer, Lenovo Companion 3.0, Lenovo ID, Office H&S 2016, McAfee LiveSafe, Lenovo Settings. The laptop also fulfills your entertainment needs since it also features a 2x 1.5W Dolby Audio-optimized speakers, which will provide you with clear crisp sound, while you enjoy videos with your colleagues. Overall, the Lenovo Ideapad 320E-80XL0376IN does deliver on all the fronts, in its price range, with the exception of a pre-loaded operating system. But, lack of a preloaded OS opens doors for installation of other operating software, to suit your needs better. 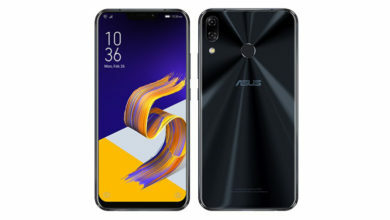 It can also be a very good choice under 40000 Rs. The Lenovo Ideapad 310 80TU00D2IH and Lenovo IdeaPad 320E-15IKB 80XL03FYIN, both with pre-installed Windows 10 can also be good options from Lenovo in this price range. the HP Imprint 15-BS580TX is powered by an 2 GHz Intel Core i3 (6th Gen), and is supported by an 8 GB DDR4,(expandable up to 16 GB) along with which it also has a 1 TB HDD. The laptop comes with an 15.6 inch (1366 x 768 pixels)HD LED back-lit bright view wide-screen display. The laptop is also equipped with a dedicated AMD Radeon 520, 2GB graphic card which further enhances your on-screen picture quality. The laptop also comes with an HP TrueVision HD Webcam and for connectivity uses WiFi and Bluetooth 4.0. Along with this the laptop also comes with a CD/DVD writer with 8x speed. For power consumption the laptop comes with a 4-cell Lithium Ion battery which can provide back up power for up to 4 hours. 25.4 x 38 x 2.4 cm and weighs about a 2.1 Kg. So if you are looking forward to buy a laptop that allows you to do your daily work and at the same time provide you with quality entertainment, then HP Imprint 15-BS580TX is the laptop you had been searching for. The HP Imprint Core 15-BS579TX, HP 15-AY543TU and HP Pavilion 15-BS541TU are also available around the same price with similar config. which is expandable up to 16 GB, provides you with hassle-free operations and faster multitasking. The laptop is very sleek in design and looks very classy. It has 15.6 inch (1366 x 768 pixels) HD LED Backlit Anti-glare TN display which provides for some amazing viewing experience, given that it also has a dedicated Nvidia GeForce 920MX, 2 GB graphics card. With 1 TB of HDD space, the Lenovo IdeaPad 320-15ISK 80XH01HBIN, also comes with a CD/DVD writer with 8x R/W speed and is pre-loaded with Windows 10. So, while this is a good choice for gamers, it’s also a fit for your daily requirements. The laptop is also equipped with an HD Webcam for your video chatting needs. For power consumption, the laptop is backed by 2-cell Li-ion battery which offers battery backup for up to 3 hrs. Overall, this laptop sports a good design and decent specs for its price. So if you are looking for a good looking laptop with bigger RAM, the Lenovo IdeaPad 320-15ISK 80XH01HBIN can be worth your money. The Lenovo IdeaPad 310-15ISK 80SM01F8IH and Lenovo IdeaPad 310-15ISK 80SM01J7IH are also available at the similar price. The Asus R541UV-DM525, Asus R541UJ-DM265, Acer Aspire 5 -A515-51G and Asus R558UR-DM069T are some of the other laptops under 40000 Rs. which are also good but couldn’t make into the Top 5, you can consider these laptops also but, going with the top laptops will always be better. 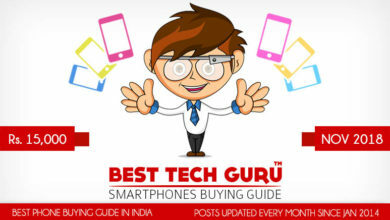 Please like and share this list of 5 Best Laptops under 40000 Rs. with your friends and help them in choosing their next laptop and like always, feel free to ask your questions. A prompt reply awaits you. What about lenovo 310 (amd10 version) it is under 40000, has windows 10 and 8 gb ram with graphic card! The only downside people consider is the processor but actually it is better than i5 (6th generation) in many aspects! Please make a new list of laptops! I really need one!